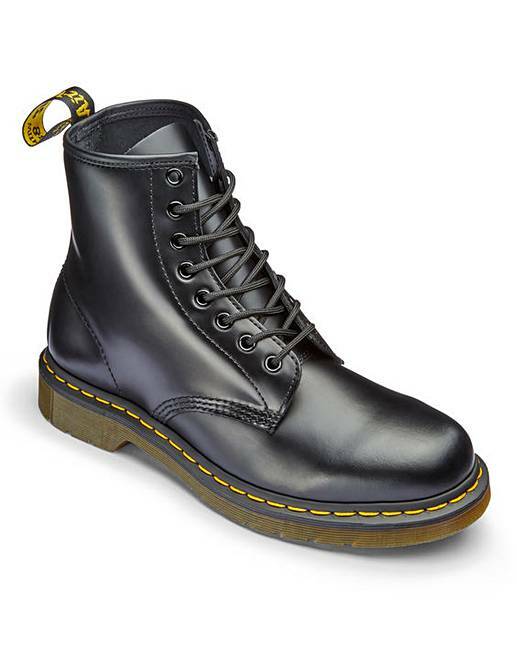 Dr. Martens 8 Eye Lace Up Boots is rated 4.4 out of 5 by 12. Dr Martens have become icons, recognized worldwide for their uncompromising looks, durability and comfort. This style embodies all that is true and unique to Dr. Martens. 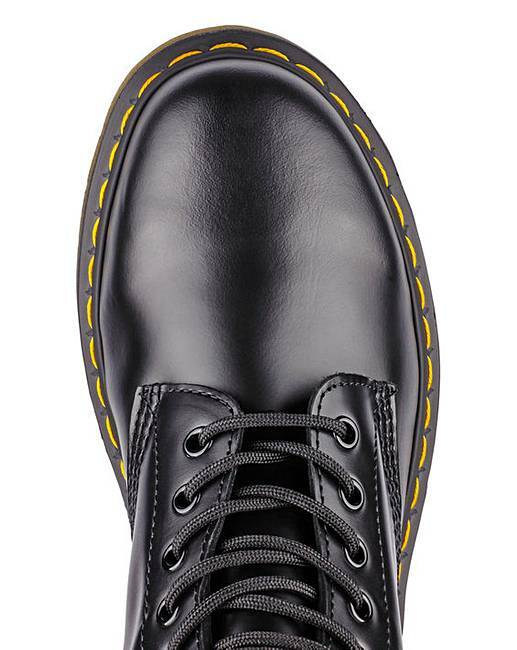 The 8 Eyelet 1460 Boot Smooth is the classic Dr. Martens: durable leather, with a smooth finish. 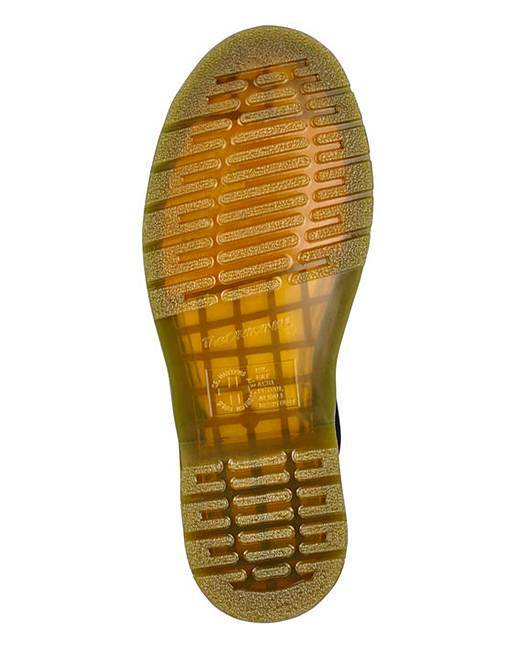 The air-cushion sole, oil and fat-resistant, offers good abrasion and slip resistance. Made with Goodyear welt, the upper and sole are heat-sealed and sewn together. Upper: Leather. Lining: Leather/Textile. Sock: Leather. Sole: Other materials. Rated 5 out of 5 by Alvic from Classic Boots I use to wear these in the late 1970's but they then were thicker leather and thicker soled, and it was a well known thing that you were wearing plasters round your heels breaking them in, but not now. These Docs were comfortable from day one with this now newer supple leather. They do still look well made and also look the business. 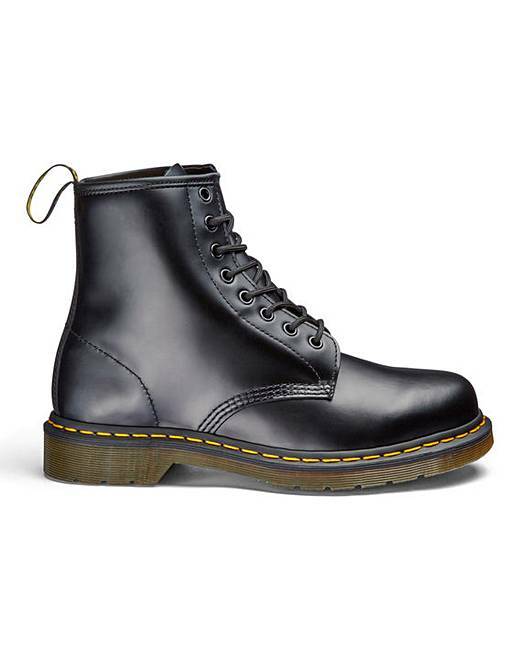 Well done Doc Marten for keeping these cool classic boots alive for over 50 years. Rated 5 out of 5 by Alvic from Unique Boots I bought these for my daughter and like all Doc Martens they take a while to break in. Once broken in there excellent. Rated 5 out of 5 by Punk8 from Dr martins Great they have arrived hubby will be pleased to get them for Christmas.he has had his last lot for years great boots for long periods don't have to get every year or less.